For the last few weeks we have been focusing on breaking down some resistance exercises, so this week I thought we would do a HIIT workout. 20 min start to finish, that includes warm up and cool down, people. So . 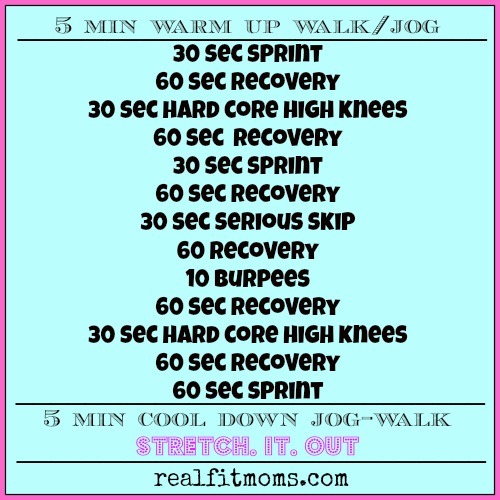 . . here’s how its going to work – we are going to do a 5 min warm up, run on the spot, do jumping jacks, jump rope, dance around the living room, do step ups on the stairs. Anything to get you warm. Then we get serious. We will do a series of short, 30 second bursts of exercise. Full out, as hard as you can. It’s only 30 seconds. 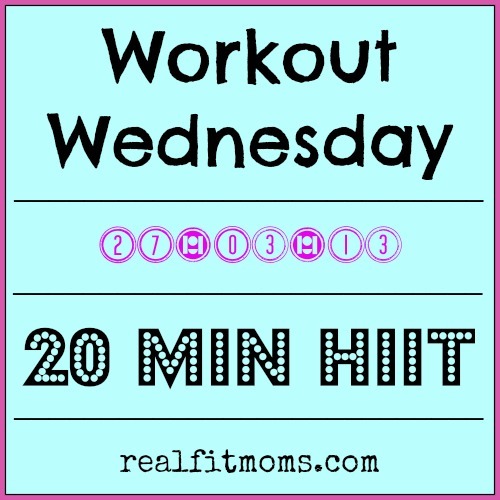 Just remember how HIIT training boosts your metabolism not only while your working out but for hours (I’m talking like 24 hours!) after you’re done. Even while you’re sleeping! So, after we have crushed our 30 second high intensity interval session we take 60 seconds to recover. The only thing is, you must stay active during the recovery time: jog, walk, just keep moving. Now, I know I said we are going to push ourselves as hard as we can, but know your limits, don’t over do it. Don’t take the easy way out, either. You are strong. You are amazing. You. Can. Do. It. Resistance training or Cardio Queen, what’s your fave way to workout?